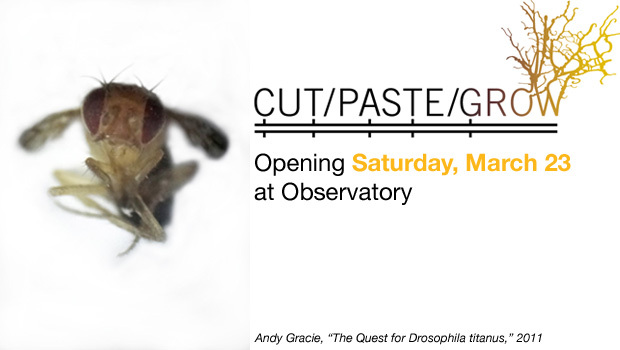 We’re excited to announce that CUT/PASTE/GROW has been scheduled to open Saturday, March 23, at 8 PM and remain on view until May 11. Read the official announcement on the Observatory site. We are planning several great events in conjunction with the show, so stay tuned for updates! Observatory gallery hours: Saturdays & Sundays 12–6 PM. Directions to the gallery: Observatory is part of the Proteus Gowanus arts complex, located at 543 Union Street. Enter via the alley off Nevins. The closest subway stops are the Union Street R and Carroll Street G.